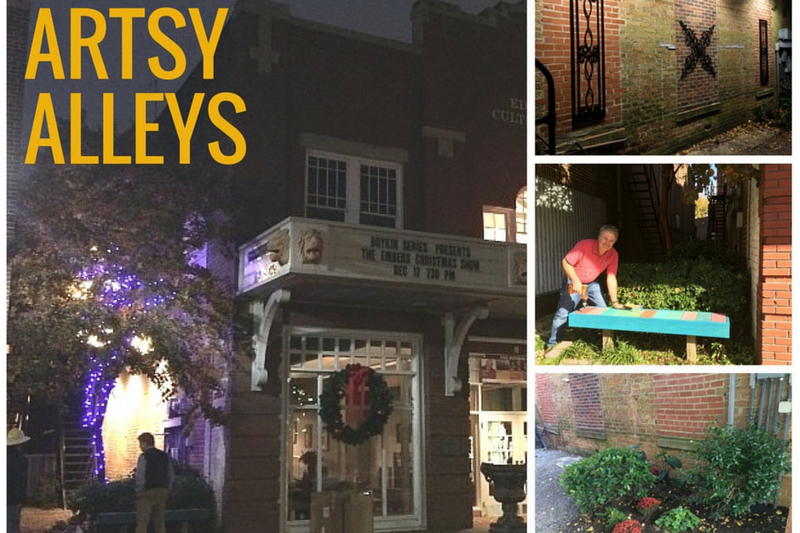 Artsy Alley is an initiative of Wilson Downtown Development Corporation which takes the arts to new locations in forgotten places. Historic Downtown Wilson’s alleys link the community together, from the newly developing Vollis Simpson Whirligig Park to the cultural attractions, to the shops and restaurants, to the parking lots servicing all of those amenities. In addition to physically connecting parking to street-side sidewalks in a safe manner, these connections are opportunities to enjoy art in a focused way while offering multiple ways for pedestrians to navigate through Historic Downtown Wilson. Across from the Courthouse, between Nash Street to the Barnes Street Parking Lot and the Arts Council of Wilson is an arts-rich alley filled with original ceramic tile. This dimly lit alley is filled with tremendous art that is decades old. The acoustics are in the tunnel offer a unique opportunity for the musical theme. The City has committed to providing LED lighting, updating the trash container, and power washing the entire space. Ideas that have been discussed include interactive audio or a musical element that engages people to bring joy to the space. Volume must be considered to avoid disrupting adjacent merchants. 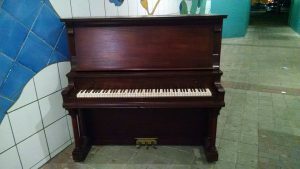 An old piano is available for use in this space if the design incorporates one. It may be painted. 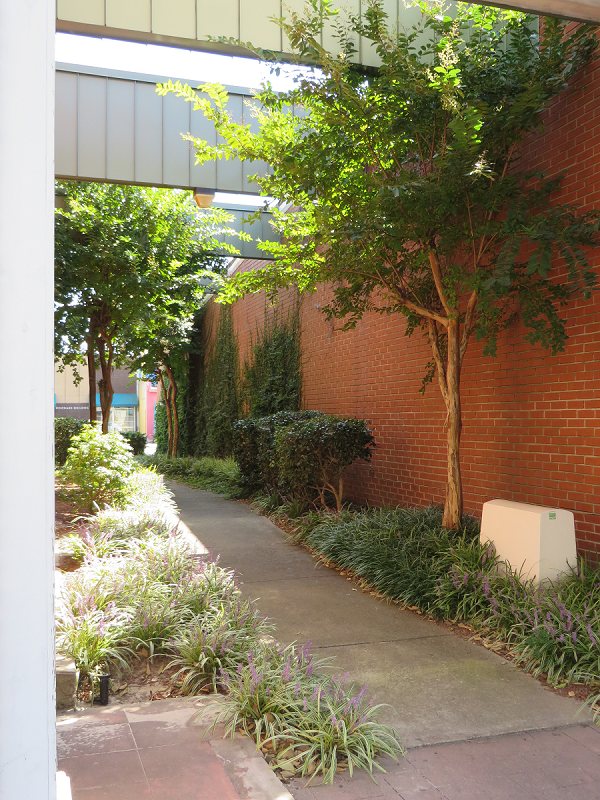 This particular alley also provides ample space in a cooler, covered environment for seating. Three components are under construction with the Artist, Jason Coale. The first element is Wilson’s first outdoor public piano. It is being prepared now for painting by a group of home school children. 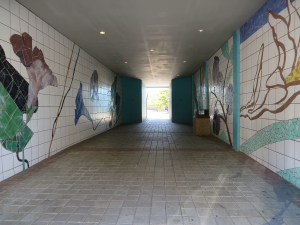 The design is coordinated with the magnificent ceramic tile work that produces such great acoustics in this tunnel passageway. The second component is an interactive Xylophone to be mounted to the brick wall. Thirdly, original music composed by North Carolina artists will be played through speakers when the shared instruments are not in use. Between Barnes Street Parking Lot and the south side of Tarboro. This alley is adjacent to the future home of Artisan Leaf, an artisan retailer of products featuring beautiful flue-cured tobacco leaves. The space will also house a coffee shop. An extension of the pathway and landscaping into the parking lot will announce the connection to the new business’s entry from the alley. Landscaping needs major restoration, pruning and removal for safety, and new plant additions to bring forth a lush garden-like environment. These improvements are to be completed by the City. Golden Leaf Lane links the Arts Council parking lot to the major shopping and dining street in town. This is a shady area that will create a small park-like setting. The side walls are brick and the walkway lighting is along one of the walls and can focus on the art. With the overhead connecting steel beams between the two buildings, lighting opportunities abound. Gooseneck lighting focused on encased art displays and complimented by draped overhead ‘patio’ type string lights are some ideas. Overhead lights can be replaced by chandeliers since there is wiring in two places. These can be complimented by entrance lighting that announces the entrances. The functional lighting can be done by the City and does not need to be included in the submitter’s budget. 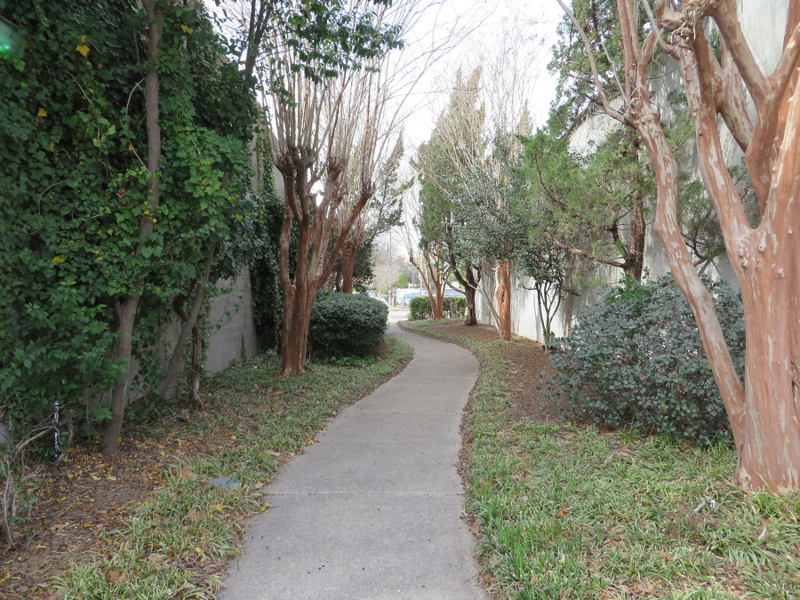 Across the street from Golden Leaf Lane, across Tarboro Street to the north, this walk connects to the Pine Street Parking Lot. This alley has stucco-like wall surfaces. This quieter setting will explore the literary arts locally, state-wide, and/or globally. Potential Partners include the Wilson County Library and Barton College Hackney Library. As in other alleys, the landscaping enhancements, seating, and some lighting elements will be completed by the City. 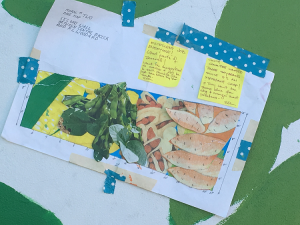 Design ideas may explore art and other items like a small post-mounted lending library; notable quotes; interactive poetry, book displays, and seasonal themes. Programmatic events like poetry readings and other small scale opportunities can be incorporated into the design. 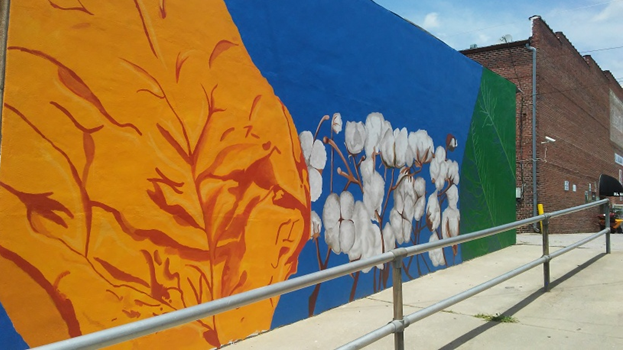 In 2015, the Wilson Downtown Development Design Committee completed the first Artsy Alley in Wilson next to the Edna Boykin Cultural Center. An Electricities grant of $2,500 was obtained to install security and decorative lighting; rebuild and repaint an existing park bench; purchase and install landscaping, and purchase and install local ironwork art manufactured by Jimmy Sink. In 2017, the WDDC team secured permission for a second location that will be the connection between one of downtown’s busier parking lots, the Centre Brick lot beside the new Whirligig Station redevelopment project, to Barnes Street next to P.L. Woodard Hardware Store. A partnership with the North Carolina Arts Council and Sallie B. Howard School was developed and a competition was held among many student teams with one chosen as the winning entry. 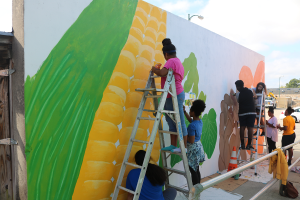 During the blistering heat of the week of May 14-21, a strong team from the arts classes in 6th – 8th grades completed the large mural representing Wilson’s agricultural history.